Samra Zafar was forced to marry a stranger at 17 years old and leave behind her family in Pakistan to move to Canada. She faced years of abuse after arriving here in this hastily arranged marriage, but nothing could stop her from pursuing her dreams. You can get a sneak peek at her heartbreaking, inspiring story here (and get the tissues ready!!!) and read her full story on March 5th! This explosive and twisted psychological thriller is so unique and unlike any thriller you’ve read before. 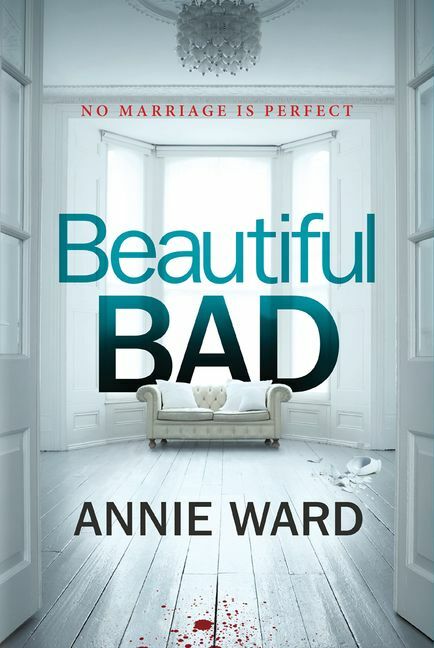 In Beautiful Bad, the perfect love story leads to the perfect crime. Find out what in this beautiful dream home as gone so terribly bad this March! This historical thriller should definitely be on your TBR! Full of detail, deception, and revelation, Woman 99 follows Charlotte Smith, whose wealthy parents commit her beloved sister to the infamous Goldengrove Asylum. Charlotte risks everything and follows her sister inside, surrendering her real identity as a privileged young lady to become a nameless inmate, Woman 99. It’s a WILD RIDE! Angie Thomas says this is “one of the best love stories” she’s ever read, so we’re already in. This new YA time-travel story is downright hilarious and full of heart. It follows Jack and Kate, who meet at a party and fall for each other—hard. But then Kate dies. And their story should end there. Except it doesn’t. Kate’s death sends Jack back to the moment they first met, again and again. The #1 New York Times bestselling author of the Natchez Burning trilogy is back!! Cemetery Road is about Marshall McEwan, who left his hometown at age 18, vowing to never return. Until he has to. Friendship, betrayal, and shattering secrets that threaten to destroy a small Mississippi town make up this electrifying tale. Wow, March 5th is a busy day for releases! For fans of The Home for Unwanted Girls, Shelley Wood’s novel tells the story of the Dionne Quintuplets, the world’s first identical quintuplets to survive birth. A story of love, heartache, resilience, and enduring sisterhood. A fictional, coming-of-age story bound up in one of the strangest true tales of the past century. Here’s a fun, lighthearted one for you, readers—full of humor and warmth, and of course the perfect gift for Mother’s Day! It’s 1942 and the wives and mothers of Coronation street are determined to count their blessings, but when an unwelcome face from the past turns up at the Rovers, it looks like they will have more to worry about than Hitler’s bombs. Mindy McGinnis ALWAYS takes us for a wild ride, and this book is no exception! Heroine is a powerful exploration of the opioid crisis—the deadliest drug epidemic in American history—through the eyes of a college-bound softball star. You’ve seen the movie (obviously) but have you read the book? Get this special edition with the movie art! I think it’s safe to say the book is scarier than the movie (it’s a serious edge-of-your-seat horror ride) so, prepare, readers! As a follow-up to the brilliant Girl, Wash Your Face, Rachel Hollis sounds a wake-up call. She knows that many women have been taught to define themselves in light of other people instead of learning how to own who they are and what they want. Rachel wants us to let go of the excuses, adopt these behaviors, and acquire the skills she lists in this new self-help book. Okay, I know we don’t normally feature children’s books, BUT HOW BEAUTIFUL IS THIS ONE? Joanna Gaines and the kids chronicle the adventures of starting their own family garden in We Are The Gardeners. A book about books? Yes, please! A librarian’s discovery of a mysterious book sparks the journey of a lifetime in this delightful new novel! It’s the perfect read to pick up between all of those thrillers releasing earlier in March! What books are at the top of your March TBR? Did you add any of these ones? We want to know! Tell us in the comments below or on Twitter @SavvyReader. Not even Marie Kondo’s Method Can Convince Us To Give Up These Books! Looks like March is going to be an amazing month for book releases! !